Evopos also has a built in CRM and Communications section where you can create mailings based on a wide range of criteria, these can then be used for bulk sending SMS texts, email newsletters and mail merging. Quickly find a contact by name, phone number, email address and unit. Our powerful search engine gives you multiple searching abilities, you can search by name, phone numbers, email address, postal address and even units. Build mailing lists using comprehensive criterias such as sold item, sold job, sold anything, has email, has mobile, is prospect, has unit and much more. These lists can be saved, exported and sent out by SMS, email and letter. See a complete history detailing every interaction with a contact, history includes sales, purchases, communications, prospects and more. Each can be drilled into for more information. 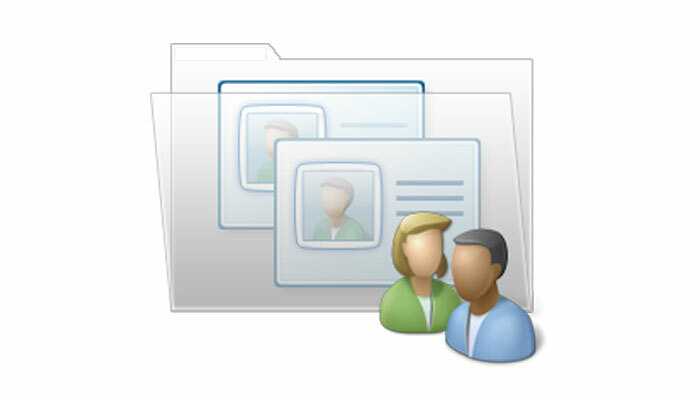 Each contact can have multiple persons, this could be for a company or a family. Each person has their own contact details including phone number and email address. Evopos links to the UK and Australian postcode databases, just another feature to save time and limit inputting mistakes. Each contact can be assigned multiple categories, use these categories to build mailing list, produce report or filtering your contacts. You can set custom pricing for a customer or even have a price level for a group of customers. Pricing can be discounted or marked up from retail or cost. Special or back order any item, you can track the progress of the item through every stage. Evopos makes it super simple to look up a customer order so that any staff memeber can help. Sell or purchase to contacts overseas? No problem, just set the tax override and Evopos will handle everything else. Set credit days and a credit limit for your account customers, you can even customise the days to give credit to the end of the current month. Handle your slow paying debtors by automatically charging fees. You can also give discounts to your fast paying debtors. Easily split an invoice for multiple payments, take deposits and pay multiple invoices with one payment. Set a seperate delivery address for each contact, this address will be display on the invoice. You can import any file and allocate it against a contact, the files can be accessed from any workstation. Create custom properties for contacts, these can be assigned to multiple contacts or just one.